oVirt is a free and open source virtualization software used in Linux like operating systems such as Fedora, CentOS and RHEL. In other words we can say oVirt is the alternate of VMware vSphere in Linux. Ovirt community is founded and supported by Red Hat and it is considered as upstream project for Red Hat Enterprise Virtualization (RHEV). 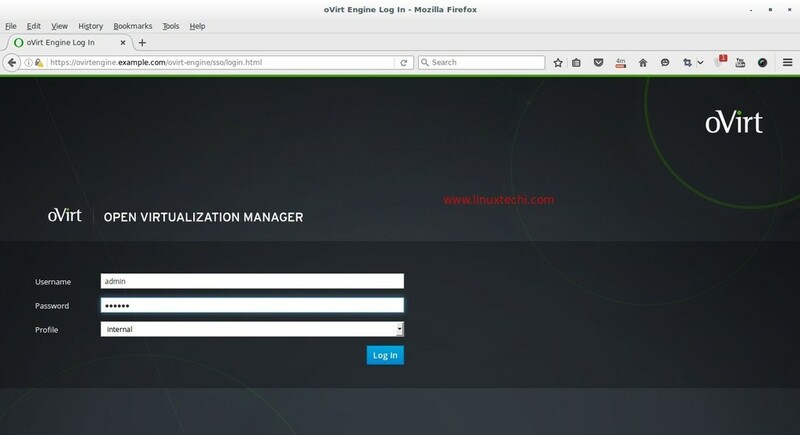 oVirt Engine is a graphical user interface or we can say it is a Web administrator portal from where we can manage virtual machines, compute, network and storage resources. oVirt Node is either a RHEL / CentOS or Fedora Server on which vdsm service is up and running. Ovirt node will act as Hypervisor (KVM) on which all the Virtual machines will be created. Update the below entries in /etc/hosts file in case you don’t have your local dns server. Perform the following steps one after the another to install ovirt engine. Install latest update on server using beneath yum command. Once the updates are installed reboot the sever. Execute the following yum command to install ovirt engine. Run the command ‘engine-setup’ from the console, it will start the ovirt engine installer and will interactively ask series of question during the installation and will save all the answers to a answer file. Answer file can be reused in order to automate the installation. [WARNING] Warning: Not enough memory is available on the host. Minimum requirement is 4096MB, and 16384MB is recommended. In Case firewall is enabled on your server , then execute steps mentioned in above output. 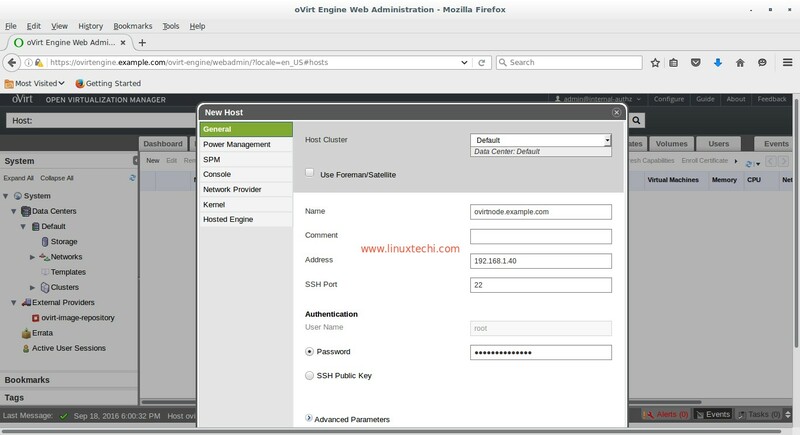 Step:5 Access oVirt Engine Web Administrator portal. Replace the domain name or IP address as per your setup. Enter the user name as ‘admin‘ and password that we mentioned during installation and Profile as internal. 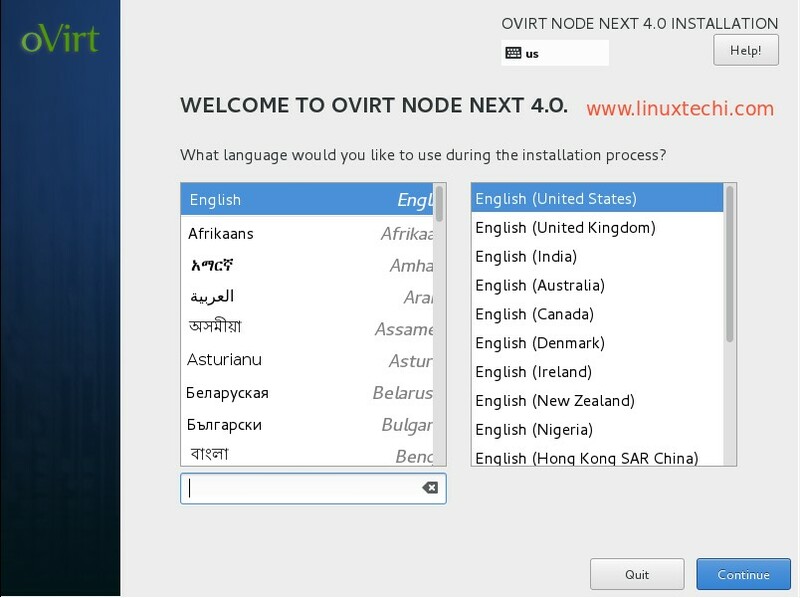 At this point ovirt engine installation is completed, now install ovirt node. 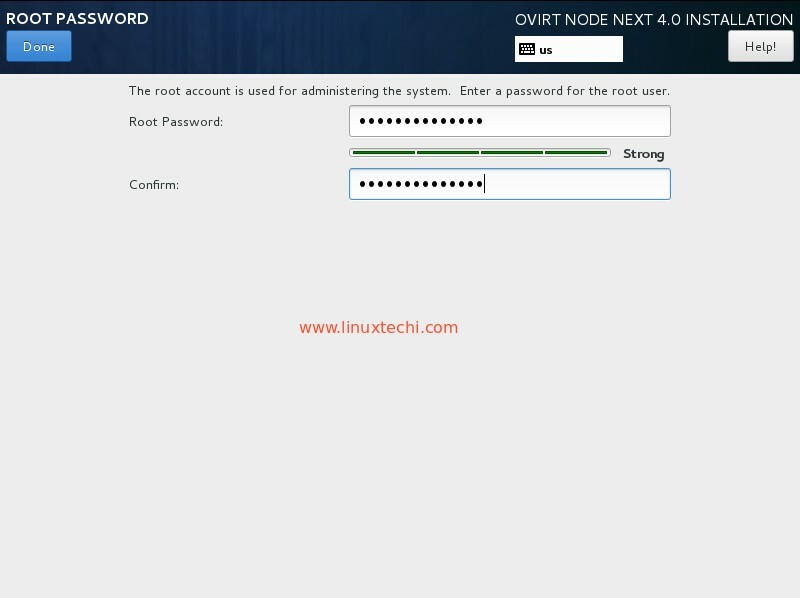 oVirt Node can be configure in two different methods , First method is that we can download the hypervisor or ovirt-node iso file from its official web site and install the server from the downloaded iso file. Second method is that we can make existing CentOS , RHEL and Fedora server as ovirt node by installing vdsm package on it and then we will add that host or server manually from ovirt engine administrator portal. 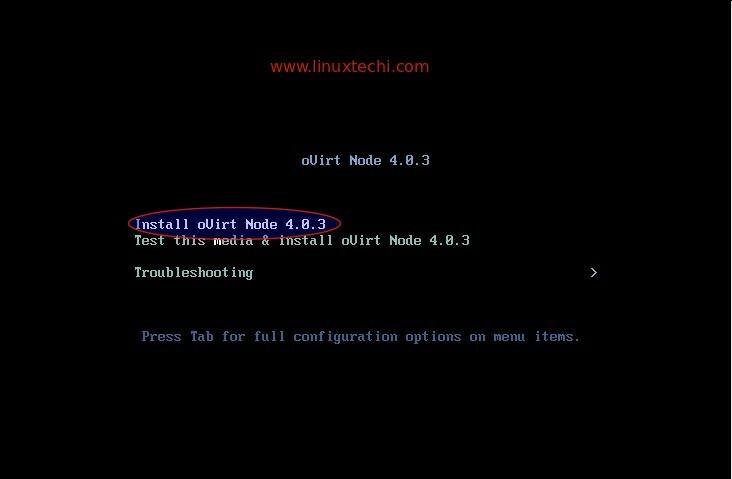 In this tutorial i am going with first method, I have already downloaded the oVirt 4.0 Node iso file. Burn the downloaded iso file either into DVD or USB drive and Boot the boot the server with DVD/USB follow the Screen instructions. oVirt 4.0.3 Node installation is in progress. Once the installation is completed reboot your server. Add oVirt Node (ovirtnode.example) in ovirt engine from Web Administrator Portal. 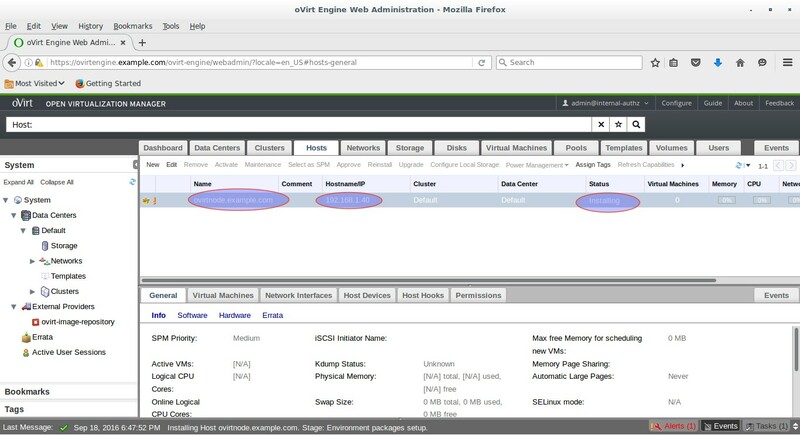 Specify the ovirt node details. Once done with the entries, click on OK.
As we can see Host is activated now. That’s all. 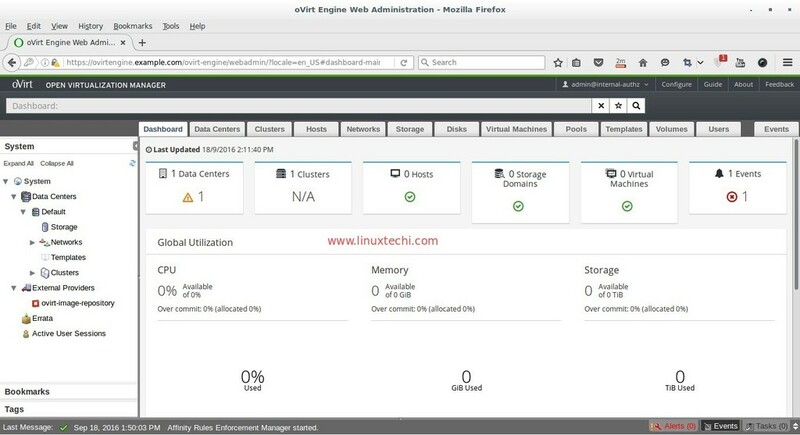 Hope you like the installation and Configuration steps of oVirt 4.0.3.In the coming article we will discuss how to create data centers, cluster and Virtual machines. How can i do to resolve? Can you tell me something about your problem? Try to access the oVirt Portal using FQDN(Fully Qualified Domain Name) instead of IP address , In case DNS entry is not configured update your system’s hosts file put below entry so that it can resolve FQDN into your oVirt Engine Server’s IP address. what if i don’t have a domain, just a public IP of the server. how would i resolve this? How do I access via IP instead of FQDN? The client is not authorized to request an authorization. It’s required to access the system using FQDN. How i resolve the problem what to add, maybe someone can help the novices. Also add the same above entry in your machine from which you are trying access ovirt portal. Hope these steps will resolve the issue. Same issue, not sure is it a common issue or…. Running on the vmware vm. Now you should be able to access web console. You can specify an alternative FQDN simply by editing the SSO_ALTERNATE_ENGINE_FQDNS variable in /etc/ovirt-engine/engine.conf.d/11-setup-sso.conf on the oVirt Engine. can you plz share the steps to create data centers, cluster and Virtual machines. I followed your document to install ‘ovirt engine’. Installation went through without problem. It works without problem as well. 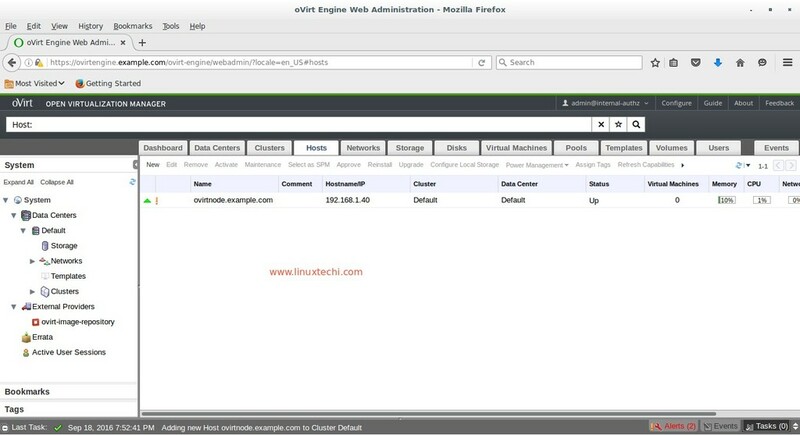 On Host browser running ovirtengine.example.com, ‘oVirt Open Virtualization Manager’ can be connected and login. 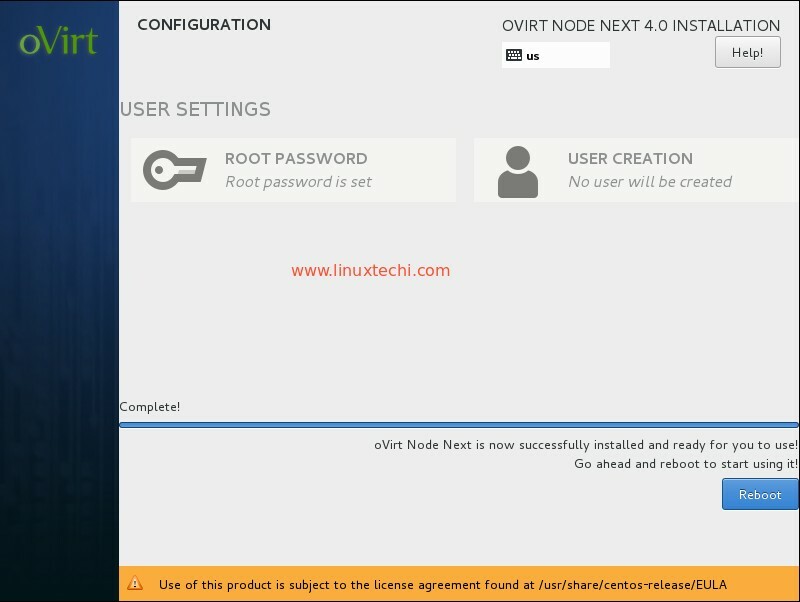 My question is “can I add ‘ovirt node’ on vm2 in ‘ovirt engine’ on vm1”? Or I must install ‘ovirt node’ on CentOS 7 of vm1? 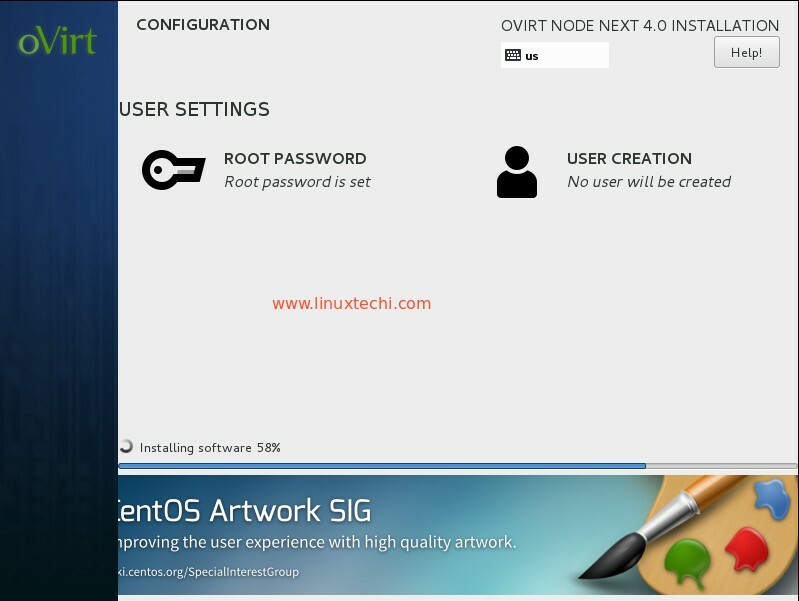 Ovirt Node is always on CentOS 7.x & RHEL 7.x, You can add further Ovirt Node to the Engine any time. I recommend using the ovirt-release-master instead of ovirt-release-40, given that it looks like 41 is the current stable and 42-pre is already available. 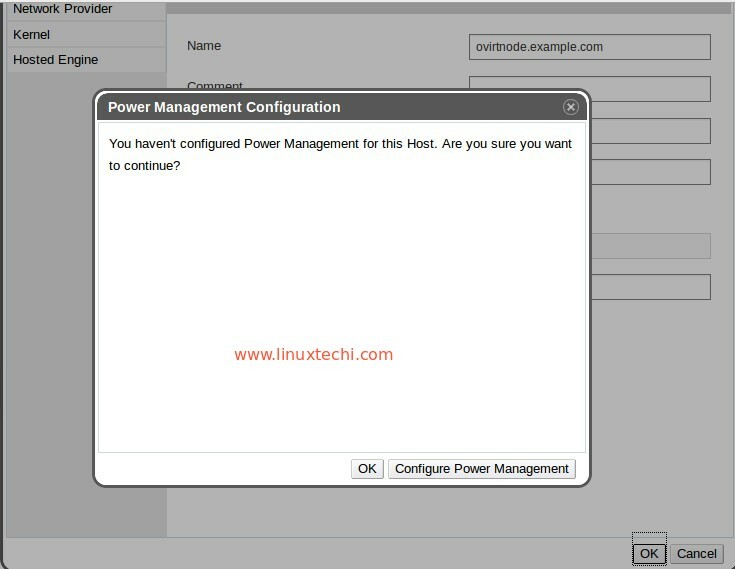 Ovrit platform for the virtual machine management how to implement the server after startup, the virtual machine is automatically switched on? hi ! thanks for the tutorial. question: now I have 3 servers with xenserver, how could I do the same installation with oVirt ? oVirt engine can be installed in a CentOS 7 VM outside of oVirt Nodes, whereas oVirt Node will be installed on Physical machine or in Lab it can be installed on Virtual Machines. 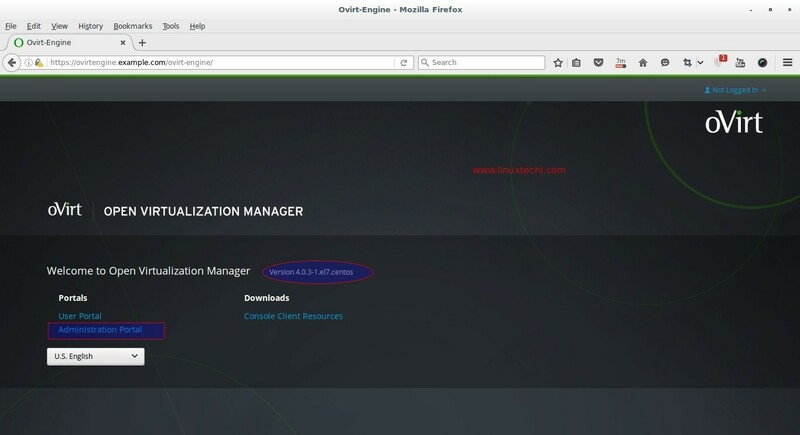 I’ve search more about it, and also I found that once installed you can migrate the ovirt-engine into a new machine inside the hosts. Good Documentation. I have a Centos 7.4 installation with “Virtual host” option alone. 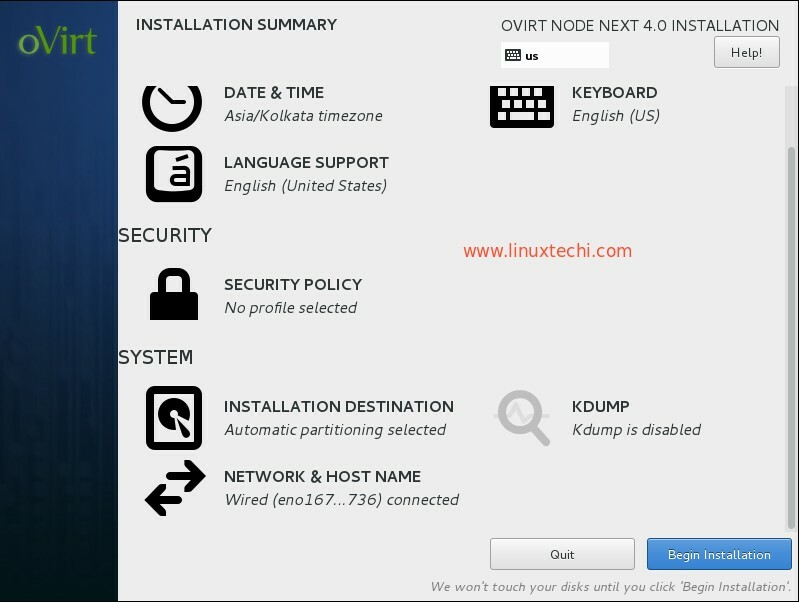 Does that mean now i can consider this as a ovirt node and skip most of the installation steps under “Installation Steps of oVirt Node”. I use two laptops to try out oVirt and both use WLAN as internet access. The isntallation of oVirt – Engine was successful and I wanted to add the second laptop as a host. On both I installed CentOS 7 which is valid for using oVirt. When I want to add the host in the webportal it fails with the message: failed to configure management network on the host ovirt. It would be nice if you had the time to update this guide to the new oVirt 4.2.1 version! There are some new things in the new versions installation I believe. As instructed in article installed oVirt engine in one VM with Cent 7 OS. Able to access manager web portal. Also installed oVirt Node in other VM and able to access web portal of Noce.